Christmas 2015 display at Waitrose, Wharf Road, King's Cross. Waitrose is a chain of British supermarkets, which forms the food retail division of Britain's largest employee-owned retailer, the John Lewis Partnership. Its head office is located in Bracknell, Berkshire, England. As of February 2015, Waitrose has 350 branches across the United Kingdom, including 30 "little Waitrose" convenience stores, and a 5.1% share of the market, making it the sixth-largest grocery retailer in the UK. Waitrose has been described by such newspapers as The Telegraph and The Guardian as having an "upmarket" reputation, although managing director Mark Price suggests this is not the case when its prices are compared to those of rival Tesco. Founded in 1904 by Wallace Waite, Arthur Rose and David Taylor, Waitrose began as a small grocery store, Waite, Rose & Taylor, in Acton, West London. In 1908, two years after David Taylor had left the business, the name "Waitrose", from the remaining founders' names, was adopted. In 1937, the company, consisting of ten stores and 160 employees, was taken over by the John Lewis Partnership. In 1944, the partnership purchased the South Essex grocery business Schofield and Martin, which had 12 shops in its chain. Schofield and Martin's Southend High Street store was converted into a self-service store in 1951 becoming the first supermarket run by Waitrose. The Schofield and Martin name was used until the 1960s when the stores were rebranded Waitrose. In 1955, the chain opened its first Waitrose supermarket in Streatham, London and continued to expand throughout London and the South East of England during the 1960s. In the 1970s, Waitrose opened branches in Hampshire, Bedfordshire, Essex and Cambridgeshire. On 16 June 2016 the store's most southerly branch opened in Truro, Cornwall. Since 2000, Waitrose has continued its expansion, including purchasing stores from Somerfield, Morrisons, Woolworths, The Co-operative Group and Sandpiper CI, a move which saw the chain move into northern England and Scotland for the first time. The firm signed a deal with Alliance Boots which allowed Boots to operate branded pharmacies in Waitrose stores and Boots stores to sell Waitrose food products. The partnership between the companies ended in 2012 having been deemed unsuccessful, which led to Boots replacing Waitrose products with items from Irish retailer Musgrave's SuperValu chain. As of August 2016, Waitrose has 350 stores across the UK. The current Waitrose logo was designed by Monotype Imaging and Interbrand. Waitrose has sponsored Reading F.C. since 2008, and the England Cricket Team for three years from 2013-2016. A Waitrose promotional stall at Headingley Stadium during a 2014 test between England and Sri Lanka. In 1983 Waitrose became the first major supermarket chain to sell organic food, and by 2008 it had an 18% share of the organic food market. 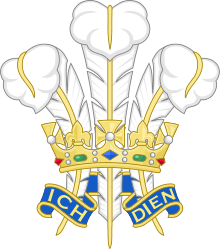 In September 2009, Duchy Originals, the struggling organic food business started by Prince Charles was rescued by Waitrose, which agreed to an exclusive deal to stock the range, and to pay a small fee to his charity. In return Prince Charles visited Waitrose stores and dined with senior Waitrose executives and their spouses. In August 2010, the Duchy range was relaunched with many new lines under the Duchy Originals from Waitrose (later Waitrose Duchy Organic) brand. Departing from earlier practice, the chain rebranded their economy range of products as "essential Waitrose" in 2009. The marketing uses the tagline "quality you'd expect at prices you wouldn't". 1,600 new and existing products were rebranded with this name using simple white-based packaging. Some people poked fun at the range for selling products that aren't an essential such as diamond polish and Champagne flute sets. Nevertheless, the range was highly successful. By 2016 it had over 2,000 items and £1.1 billion annual sales, making it one of only five food and drink brands in Britain worth over £1 billion. In 2016 Waitrose began introducing its newest food brand, 'Waitrose 1', a new premium market food brand. It offers "The very best of Waitrose" and at launch it included 520 food items. This is the healthy range of Waitrose products, where the ready meals are calorie counted and other foods such as fruits and vegetables get you discounts on them to promote healthy living. It later began to give cardholders 10% off selected products, as well as free hot drinks in store. Managing director Mark Price has said that this offer has made Waitrose the second largest provider of coffee in the UK, calling it a "phenomenal" response that showed schemes offering loyalty points to be meaningless. He told The Daily Telegraph: "Giving free coffee or free newspapers is disruptive to the market, but I think that is what customers want, I don't think they want a point. I mean, what is a point? I think it's meaningless. It doesn't have the richness, it doesn't have the affinity you can gauge if you engage with your customers in a different way. It is about what do consumers value today, not what did they value historically. So green shield stamps, or points, were a response to what happened post-war . . . I just don't think that is where the world is now." The Daily Telegraph also later reported that Waitrose has faced "complaints from disgruntled middle-class shoppers who claim its free coffee offer is attracting the wrong kind of customer". Waitrose publishes a monthly magazine called Waitrose Food, formerly Waitrose Kitchen magazine. This is free to card account holders and myWaitrose card members. In February 2015, Waitrose Kitchen magazine included an advertising pamphlet, Taste of Israel, submitted by the Israeli government, in which traditional Arabic foods were referred to as Israeli. The advert prompted a social media backlash against Waitrose. Waitrose donates a portion of its profits to a group of charities on a proportional basis, whilst individual Waitrose branches manage their own charitable donations and local decisions are made on which charities are to be supported. This is a system called 'Community Matters', where customers are invited to choose to whom they want money to be donated. As part of the John Lewis Partnership, all of Waitrose's employees are assigned the title of Partner, co-owners of the business. As such, they receive certain benefits, most notably the Partnership bonus, usually around 10–20% of a Partner's yearly salary in a lump sum paid in March (the highest bonus percentage in recent years has been 20%). The annual partnership bonus for 2011 was 18%, for 2012 was 14% for 2013 was 17% and for 2014 the bonus was 15% and the most recent bonus was 10% in 2016. After three months service, Partners receive a green discount card (Partner Discount Card) which entitles them to 15% discount in Waitrose and 25% in John Lewis Department Stores on most goods and 12% on electrical goods. The employee levels in core branches are: Non-Management Partner inclusive of other non-management roles such as Product Advisor, Wine/Meat & Fish/Cheese & Deli Specialist, Fresh Produce Advisor, Customer Service Assistant (Checkout Supervisors) and Team Leaders (TL). Management levels (ascending) are Assistant Section Manager (ASM), Section Manager (SM), Department Manager (DM) and Branch Manager (BM). In convenience branches the levels are in ascending order: Partner, Team Manager, Assistant Store Manager, Store Manager. Above BMs are ten area managers known as Head of Retail Operations (HoROs), and counterparts in Convenience. They work with a field team including Registrars who are impartial of management and seek to safeguard the constitution which underpins the Partnership. The HoROs report to the two Directors of Retail Operations (north and south), the director of retail and finally at the top, the managing director, Mark Price. Price reports to the chairman of the John Lewis Partnership, Sir Charlie Mayfield. Waitrose offers many different management courses, including the Retail Management Training Scheme (RMT) where people leaving school train to become section managers within two years, continuing to become department managers three years later and a Graduate Scheme which aspires to find the future "heads of" in branches and head office. A Waitrose customer services staff member serving a customer during the Christmas period at Putney. Waitrose employees wear different uniforms depending on their departments. Managers are expected to wear a blazer with a white shirt with thin grey lines and either charcoal suit trousers or a charcoal skirt. Counter staff must wear a plain white shirt under an apron saying which counter they work on, as well as either charcoal trousers or skirts and a grey hat with hair net for hygiene reasons. Customer services wear a white shirt but with thicker grey lines than the managers, they also must wear a grey apron with 'Waitrose' written on it as well as their name tag. They also wear either a charcoal skirt or trousers and a black fleece or gillet with 'Waitrose' branded on the front in addition to a green tie. The 'Ops' department also wears the same uniform as the customer service employees. Ambient wear similar uniforms to the customer services and 'Ops' department but are not required to wear an apron or are allowed to wear a black Waitrose polo shirt instead. Traditionally, Waitrose branches were largely concentrated in the south-east of England and Greater London; even as recently as 2003, its northernmost English branch was in Newark, Nottinghamshire. However, the company's expansion northwards and into Scotland since the mid-2000s has changed this significantly: the most northerly Waitrose store is now located in Stirling, which opened in January 2013. Waitrose opened its 300th store in Helensburgh on the River Clyde on 23 October 2013. There are eight stores in Wales: seven in the southeast and one in the northwest at Bangor. Outside major cities, stores are often located in smaller settlements between larger population centres, such as at Newport (between Telford and Stafford) and Kenilworth (between Leamington Spa and Coventry). Waitrose stores vary considerably in size. For example, the smallest branch, little Waitrose at King's Cross station, London, occupies 2,500 sq ft (230 m2) of retail space and the largest, Southend-on-Sea, over 56,000 sq ft (5,200 m2). The average Waitrose occupies a retail space of around 18,000 sq ft (1,700 m2). Some Waitrose stores incorporate an in-house restaurant selling hot and cold food sourced in the main from the store. The myWaitrose card, which customers can obtain online, offers one free medium-size cup of tea or coffee to the cardholder per day. It is apparent that some visitors to the restaurant use it as a convenient place for a social or business meeting without necessarily purchasing at the store. Other Waitrose outlets have a Costa facility operated as a franchise from the parent company Whitbread. Waitrose products are also supplied to Manx retailer Shoprite. 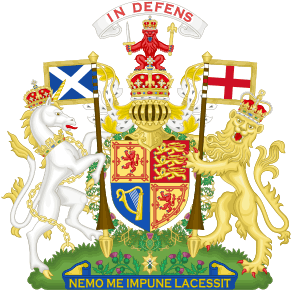 As well in the Falkland Islands it supplies to the Falkland Islands Company (FIC). Waitrose products are sold in every continent but Antarctica. Hong Kong-based retailer ParknShop also sells Waitrose-branded products. In addition, it supplies its products to stores in Australia, Barbados, Bermuda, Chile, China, Cyprus, Dubai, Falkland Islands, Grenada, Hong Kong, India, Kuwait, Malaysia, New Zealand, Philippines, Qatar, Saudi Arabia, St Lucia, Tortola and Trinidad. A Waitrose convenience store on Lands Lane in Leeds city centre. Announcing its foray into the convenience sector in July 2008, Waitrose opened its first convenience store in Nottingham in December of that year. In September 2009, it was announced that a large scale rollout of the concept was planned, opening up to 300 stores in 5 to 10 years. The new arm will operate in a two-tier environment, with the majority of sites expected to trade from 2,500–3,000 sq ft and some trading from a larger 5,000–7,000 sq ft floor plate. A trial of a 'little Waitrose' fascia on smaller floor plate stores may yet lead to brand differentiation of some or all of the convenience estate. As of 1 February 2012, there were 29 little Waitrose convenience stores. Waitrose operates food halls in key stores of sister chain John Lewis. The stores are officially branded 'John Lewis Foodhall from Waitrose', and are run by Waitrose carrying many Waitrose own-brand product lines. The first John Lewis Food Hall opened at the flagship London Oxford Street department store in October 2007; a second opened at the Bluewater branch in August 2009. There are six Waitrose Food & Home stores located in Bath, Cheltenham, Rushden, Salisbury, Southend & Leeds Meanwood, with one Waitrose Food, Fashion & Home in Canary Wharf. 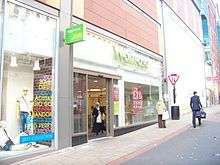 Both types of store are large enough to offer a range of John Lewis products and have departments such as The Waitrose Studio, Sushi, Oyster, Salad & Juice Bars, Travel Agent, Dry Cleaning, Photo Processing or a Post Office. Waitrose operates its own delivery service, Waitrose.com (previously WaitroseDeliver), which is only available in certain stores, delivering goods ordered through the internet and serviced from the local branch. This service should not be confused with Ocado, which is a separate business. Waitrose.com also hosts the online ordering system for Waitrose's special order food and cakes service "Waitrose Entertaining" as well as ordinary online grocery shopping. Waitrose became the first supermarket to abolish all delivery charges as of May 2009. Some stores also deliver after customers shop in store, branded as "Shop in branch, we deliver". In October 2011, Waitrose opened a "Dotcom Fulfilment Centre" in Acton, West London, less than two miles from its original store. The store employs over 200 Partners and provides Waitrose internet food deliveries for most of west and central London from a dedicated site. The store, whilst not open to the public, is laid out in a similar manner to a regular store and even offers service counter lines, much like a normal Waitrose supermarket. 1 2 3 "Company History". Waitrose. Retrieved 25 February 2009. ↑ "Founders". Ciao. Retrieved 25 February 2010. 1 2 3 4 "About us". John Lewis Partnership. Retrieved 2 December 2015. ↑ Erikka Askeland (27 September 2014). "Waitrose to launch new grocery service in Aberdeen". The Press and Journal. Retrieved 11 December 2015. 1 2 "Partnership Brochure" (PDF). John Lewis Partnership. Archived from the original (PDF) on 3 January 2010. Retrieved 25 February 2009. ↑ "Market Share of UK Supermarkets". 30 June 2015. Retrieved 10 December 2015. ↑ Ruddick, Graham (27 December 2013). "Changing the 'upmarket' perception of Waitrose". The Daily Telegraph. London. Retrieved 8 January 2014. ↑ Wood, Zoe (29 June 2011). "Waitrose or Lidl? Shoppers in a divided Britain compare supermarkets deals". The Guardian. London. Retrieved 8 January 2014. ↑ "Supermarket wars: Now upmarket Waitrose wants to open branch in Stoke Newington". Hackney Citizen. 18 September 2013. Retrieved 8 January 2014. ↑ Womack, Sarah (2 December 2002). "Waitrose awarded a royal warrant". The Daily Telegraph. London. Retrieved 25 February 2009. 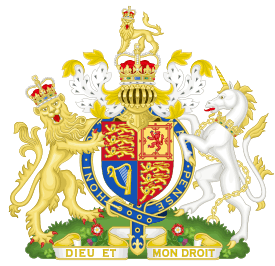 ↑ "The Waitrose Press Centre Another Royal Warrant for Waitrose". Waitrose.presscentre.com. Retrieved 25 December 2012. ↑ "Acquisition of small food chains by Linda Moroney - Waitrosememorystore.co.uk". Retrieved 31 March 2016. ↑ "'Exciting times' as Waitrose and Great Cornish Food Store open". West Briton. 16 June 2016. Retrieved 16 June 2016. ↑ "Somerfield sells stores". BBC News. 26 January 2000. Retrieved 25 February 2009. ↑ Finch, Julia (26 March 2000). "Waitrose buys former Safeway stores". The Guardian. London. Retrieved 25 February 2009. ↑ Finch, Julia (19 June 2008). "Is Woolies finished?". The Guardian. London. Retrieved 25 February 2009. ↑ Creevy, Jennifer (24 September 2009). "Retail Week on Waitrose-Boots deal and convenience expansion". Retail-week.com. Retrieved 25 December 2012. ↑ Zuke, Elinor (30 August 2012). "Boots turns to Musgrave after Waitrose trial flops". The Grocer. Retrieved 25 December 2012. ↑ "Monotype". Monotype. Retrieved 25 February 2009. ↑ "Interbrand Portfolio". Interbrand. Archived from the original on 16 December 2008. Retrieved 25 February 2009. ↑ "Confirmed: Waitrose renew with Royals". www.readingfc.co.uk. Retrieved 2016-05-23. ↑ "ECB loses crucial wicket as Waitrose announces it will not renew sponsorship deal". International Business Times UK. 2016-02-12. Retrieved 2016-05-23. ↑ Smithers, Rebecca (10 September 2009). "Waitrose in deal with Prince Charles's Duchy Originals food company". The Guardian. London. Retrieved 27 May 2010. ↑ "The New Face Of British Organic Food". Duchy Originals. 2 August 2010. Archived from the original on 6 August 2010. Retrieved 5 August 2010. 1 2 Harry Wallop (1 April 2016). "Why Waitrose is launching its first premium range". The Telegraph. Retrieved 15 June 2016. ↑ "Waitrose unveils first loyalty card in strategic shift". Marketing Magazine. Haymarket. Retrieved 27 December 2013. ↑ "Waitrose ramps up 10% off deal for myWaitrose card holders". The Grocer. William Reed Business Media. Retrieved 27 December 2013. ↑ Ruddick, Graham (27 December 2013). "Waitrose boss attacks 'meaningless' loyalty cards". The Daily Telegraph. London: Telegraph Media Group Limited. Retrieved 27 December 2013. ↑ Gosden, Emily (30 December 2013). "Waitrose faces 'middle-class backlash' after free coffee attracts 'wrong kind of customer'". The Daily Telegraph. London: Telegraph Media Group Limited. Retrieved 30 December 2013. ↑ Wood, Zoe (2 May 2012). "Waitrose matches Tesco prices with 'never knowingly undersold' pledge". The Guardian. London. Retrieved 2 April 2015. ↑ Wheaton, Oliver (16 March 2015). "Waitrose are getting a battering over running Taste of Israel advert". Metro. Retrieved 11 April 2015. ↑ "Raising Money For Charity". Waitrose. Retrieved 25 February 2009. ↑ "Waitrose Foundation". Waitrose. Retrieved 7 March 2011. ↑ "John Lewis profits and bonuses up". BBC. 6 March 2008. Retrieved 14 August 2016. ↑ "Untitled 1". Waitrose-experience.com. Retrieved 25 December 2012. ↑ "Waitrose MBA Trainee Guide: Key Management Decisions" (PDF). www.andidas.com. March 2003. Retrieved 21 December 2015. ↑ "Waitrose Unveils Fifth Branch in Scotland". Scotland Food And Drink. Retrieved 29 March 2013. ↑ "Waitrose opens first stations branch" (Press release). Waitrose Media Centre. 19 Aug 2014. Retrieved 2015-12-27. ↑ Tiffany Holland (19 August 2014). "In pictures: Waitrose opens first train station store in London's King's Cross". Retail Week. Retrieved 27 December 2015. (subscription required (help)). ↑ "New Waitrose store for Nottingham". This Is Nottingham. 1 October 2008. Retrieved 25 February 2009. ↑ "Waitrose in Dubai deal to open first stores abroad". Reuters. 31 December 2007. Retrieved 25 February 2009. ↑ Thompson, James (9 July 2008). "Waitrose to open convenience stores in pursuit of £27bn market". The Independent. London. 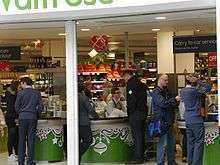 ↑ "Waitrose First Convenience Store Opens For Business". 11 December 2008. Retrieved 5 June 2011. ↑ Finch, Julia; Wearden, Graeme (24 September 2009). "Waitrose to open 300-strong network of convenience stores". The Guardian. London. Retrieved 5 June 2011. ↑ "Little Waitrose opens in London". Retrieved 5 June 2011. ↑ "Waitrose launches Good To Go brand to support convenience growth". 9 May 2011. Retrieved 6 June 2011. 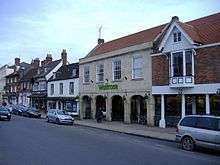 ↑ "Waitrose agrees first franchise deal with Welcome Break". Waitrose Press Office. 1 April 2009. Retrieved 3 April 2009. ↑ "Ocado gets five-year John Lewis backing". This Is Money. 8 November 2008. Retrieved 25 February 2009. ↑ "Waitrose and Ocado Announce New 10 Year Branding and Sourcing Deal". John Lewis Partnership. 10 May 2010. Retrieved 7 March 2011. ↑ "Ocado shares hit after John Lewis sells stake". BBC News. 11 February 2011. Retrieved 7 March 2011. ↑ "WaitroseDeliver". Waitrose. Retrieved 25 February 2009. ↑ "The Waitrose Press Centre Waitrose dotcom fulfilment centre opens in London". Waitrose.presscentre.com. Retrieved 25 December 2012. ↑ "Interview: Waitrose MD Mark Price". Country Life. 30 December 2008. Retrieved 25 February 2009. ↑ "Re:Fresh Awards Winners 2006". Re:Fresh. 11 May 2006. Retrieved 25 February 2009. ↑ "Waitrose and John Lewis named top of the shops by Which?". Webwire. Retrieved 25 February 2009. ↑ "Waitrose is UK's favourite shop". BBC News. 8 March 2007. Retrieved 25 February 2009. ↑ "Re:Fresh Awards Winners 2007". Re:Fresh. 10 May 2007. Retrieved 25 February 2009. ↑ "Sainsbury's double winner at retail awards". Fresh Info. Retrieved 25 February 2009. ↑ "A night of celebration for Seafood Award winners". Fish Update. 23 March 2009. Retrieved 25 February 2009. ↑ "Past Winners 2007". RSPCA. Archived from the original on 7 December 2008. Retrieved 25 February 2009. ↑ "Decanter World Wine Awards gives Waitrose Top Accolade". Decanter. 5 September 2007. Retrieved 25 February 2009. ↑ "Verdict déjà vu". John Lewis Partnership. 16 January 2009. Retrieved 25 February 2009. ↑ "Waitrose Voted Top Food Retailer for Customer Service". Waitrose Press Office. 19 January 2009. Retrieved 25 February 2009. 1 2 "Waitrose wins double title at Compassion in World Farming Awards for its work on welfare". Retrieved 1 July 2012. ↑ "Waitrose Wins Wine Award Grand Slam". Retrieved 1 July 2012. ↑ "The Prime Minister presents Big Society Award to Waitrose for its work with local communities". Retrieved 1 July 2012. ↑ "Waitrose tops survey while Tesco is lowest-rated". Retrieved 10 March 2015. 1 2 "Nation's favourite retailers". Conlumino. 10 September 2014. Archived from the original on 4 March 2016. Retrieved 31 December 2015. ↑ Caroline Mortimer (1 January 2016). "Britain's best value supermarket: Waitrose comes top of Which? 'Best Buy' rankings for own-brand products". The Independent. Retrieved 1 January 2016.